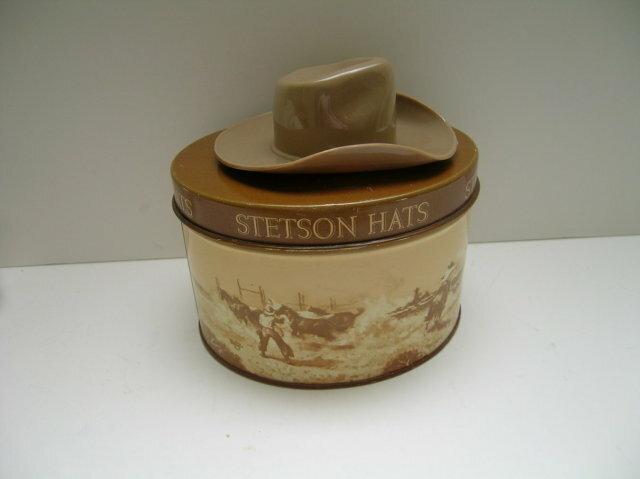 Delightful Stetson Cowbooy Hat Tin in excellent condition with no cracks or chips the diameter is 4 1/2" x 3 1/8" high. 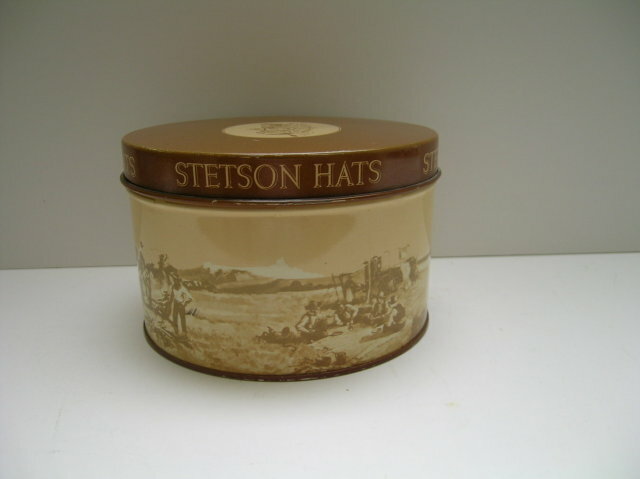 Especially great to have the original sample hat. 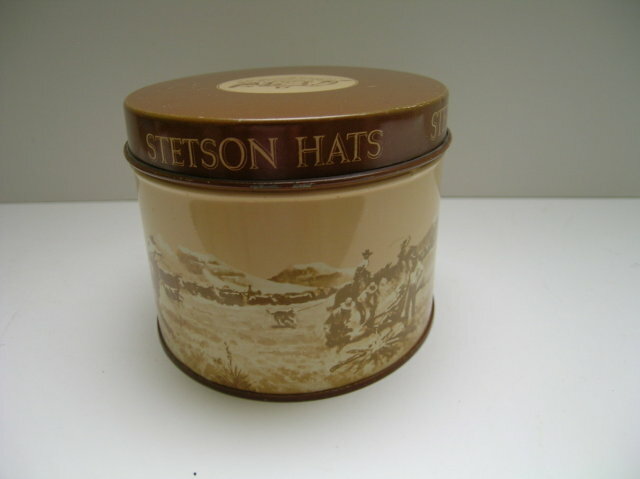 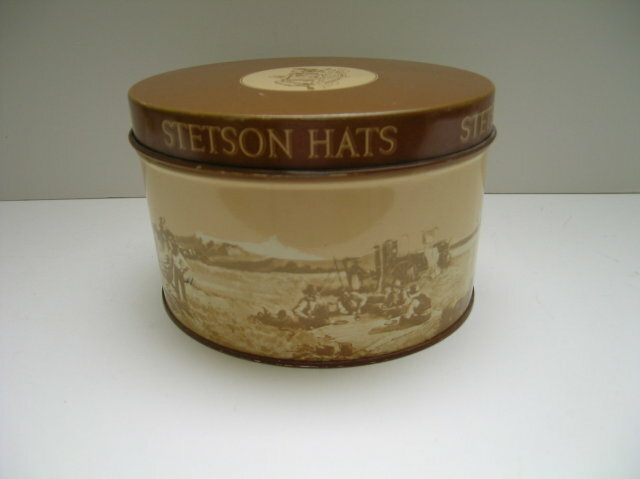 Items Similar To "Stetson Hats Cowboy Hat Advertising Tin with"